I have officially been in college over a week! As I am writing this I just got back from my second Monday of classes. 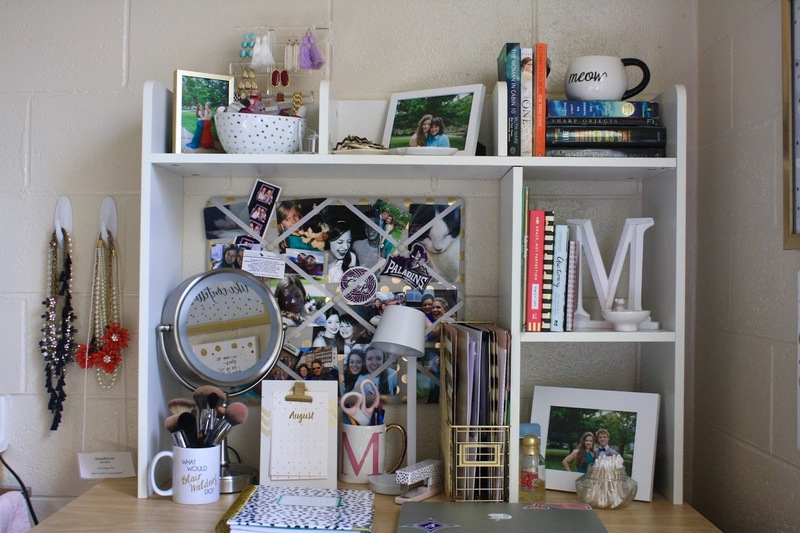 I am so excited to start to write college-related blog posts, but as I am only a freshman I still have lots to learn. 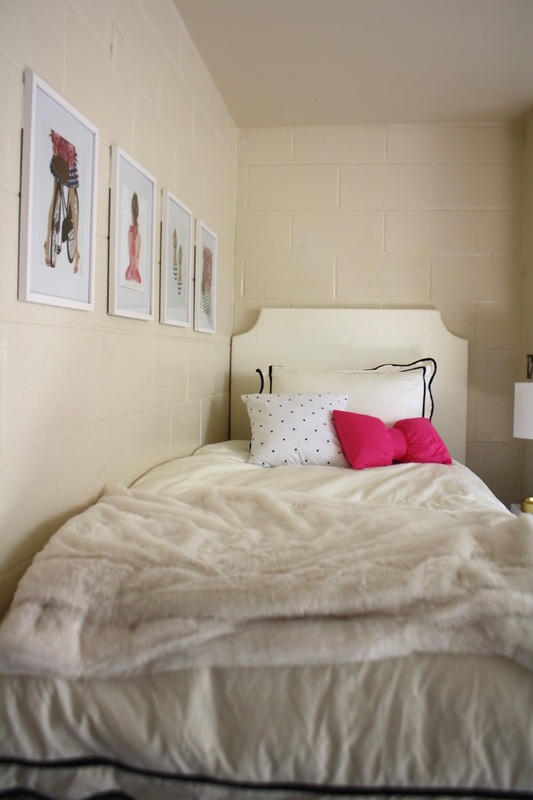 Today, however, I wanted to show you all the much-requested dorm tour. 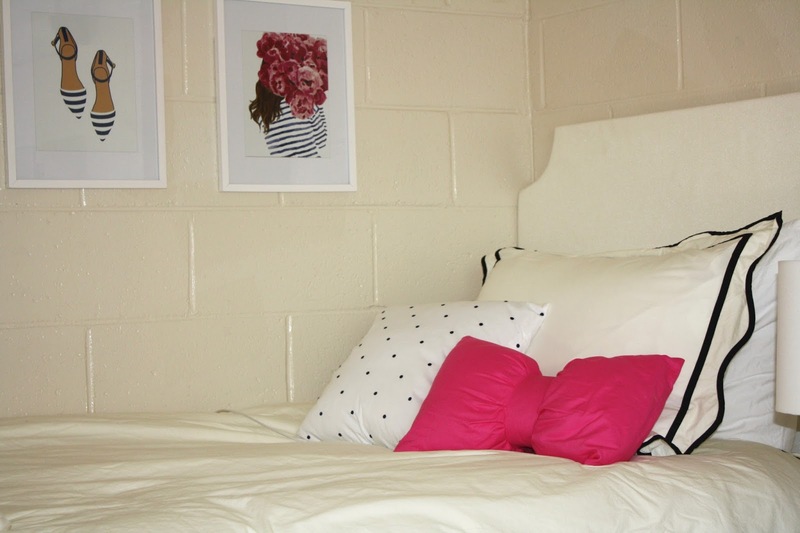 I wanted my dorm room to be Kate Spade theme, so cue the navy, pink, and gold. I also wanted it to be very open and simple, meaning lots of whites and minimal clutter. 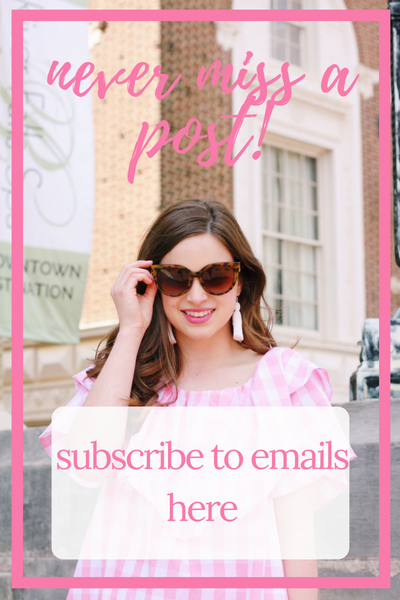 I took a lot of inspiration from some other bloggers, such as Shannon from Prep Avenue and Mackenzie from Design Darling. 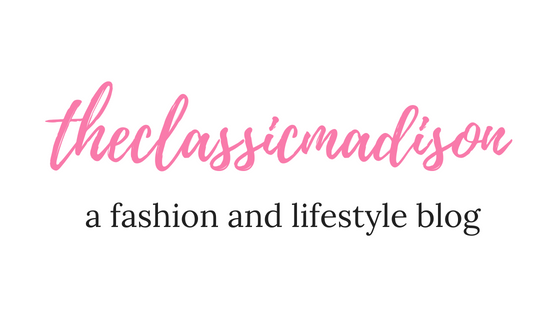 I am so proud of how everything turned out, and I hope you enjoy it too! I will cut the commentary now, but I will have linked almost everything in the post under each photo. Enjoy! I hope you all enjoyed! College is going great so far- I have started to develop a routine and get into the groove at school. 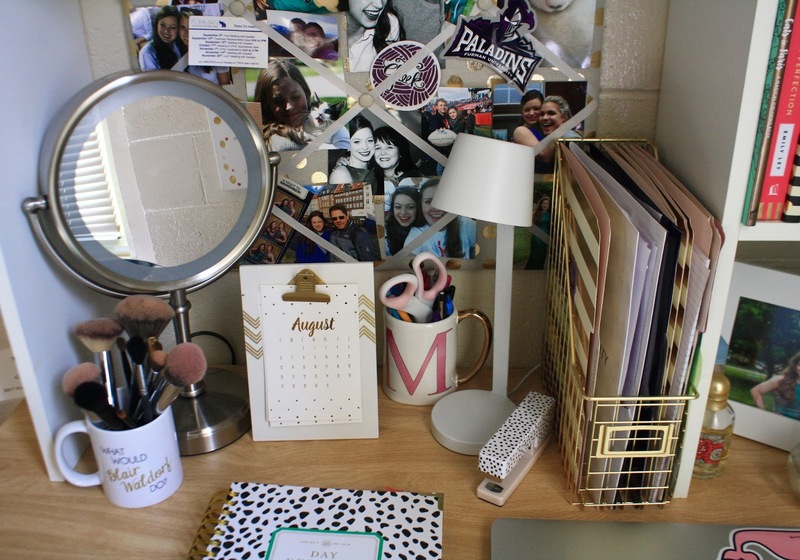 I am excited to share my experience with you all as the semester goes on. 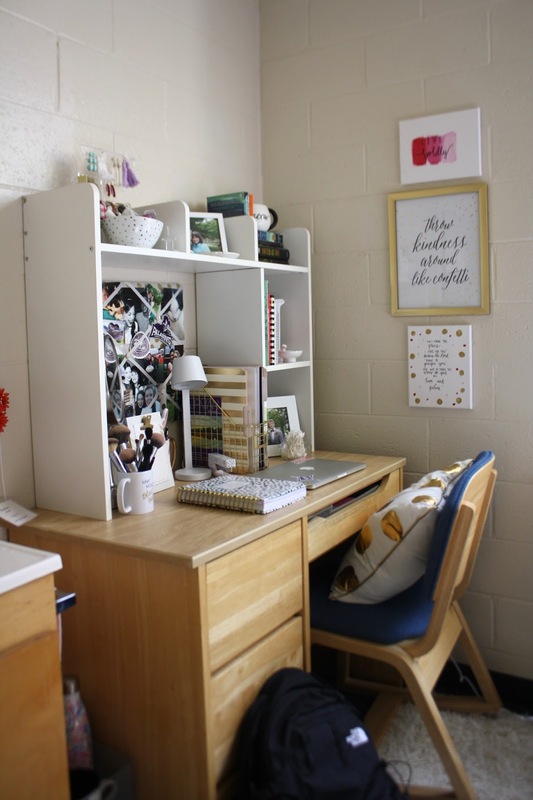 If you are in college and have a post about your dorm room, leave the link below so I can see it! 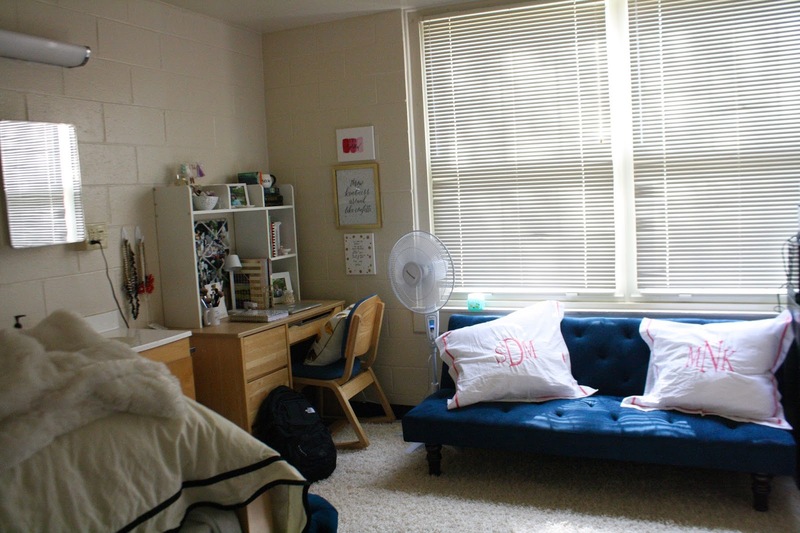 It was so fun the first week to walk around and see all my hallmates' rooms. So fun! 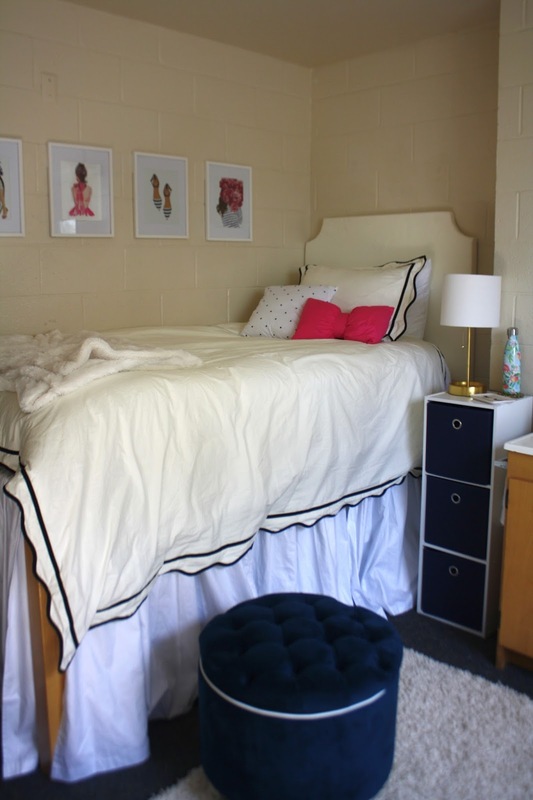 And let me tell you- Furman students make their rooms look fab! Congrats on finishing your first week, Madison! 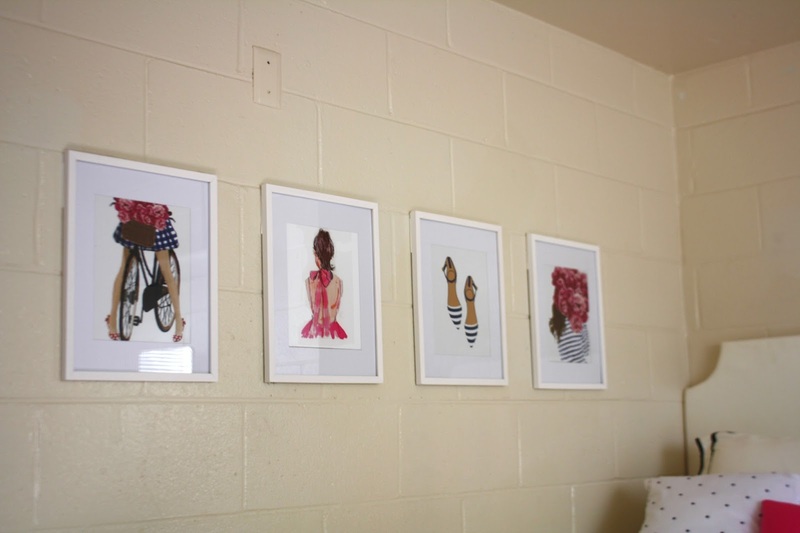 Your room is so put-together! Love the Kate Spade vibes. 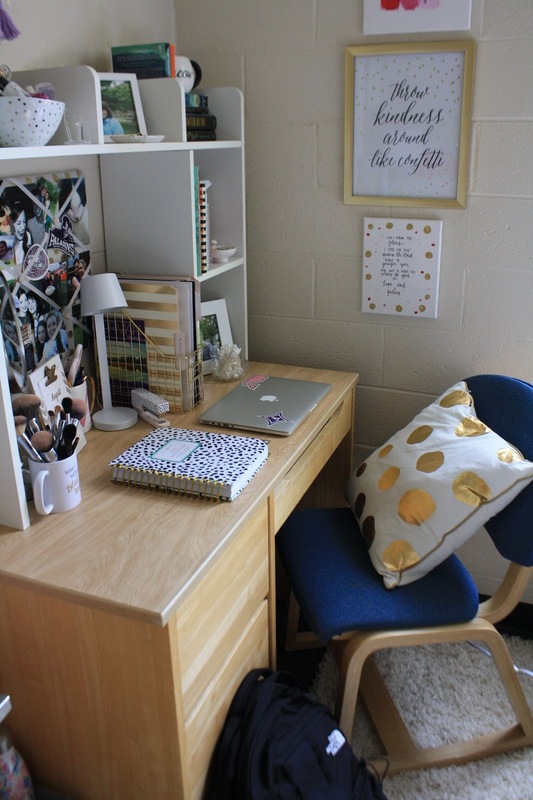 Your dorm looks amazing! 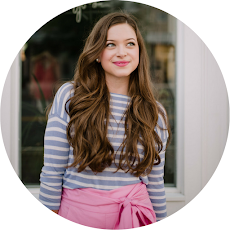 I'm loving the prep look, and you did so great capturing that Kate Spade look. I'm so glad freshman year is going so well already. You have many great memories ahead of you, and I can't wait to read about your college experience!